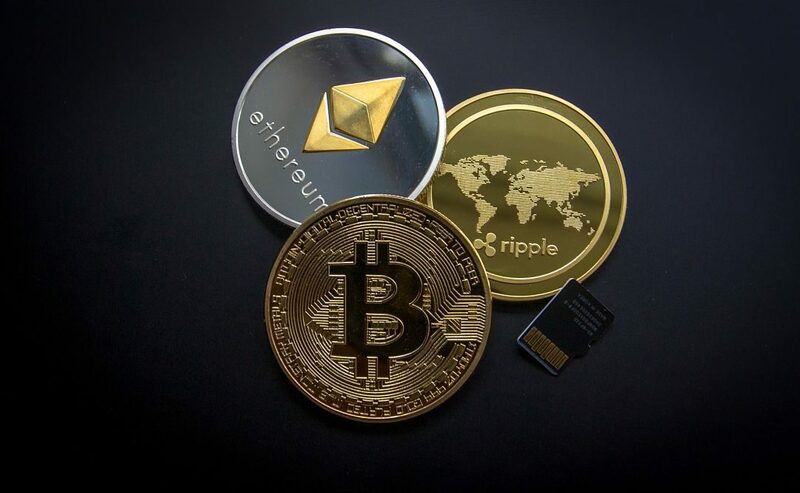 As industry experts continue to focus on the ever-present marketing strategy of customer experience and use of sophisticated technology to drive profits, cryptocurrencies have silently laid siege to the Australian retail industry and the economy in general. The cryptocurrency market has shown a very significant growth rate of more than 800% in 2017. Hence it is not surprising that Australian businesses and the government are considering the impact the digital currency brings with it. The thing is that a lot of people aren’t really across it. So we thought we’d share with you the good and glitchy of cryptocurrencies for the Australian economy. First, though, what is it? It’s an independently operated (ie: away from a central bank) currency asset that exists only in highly encrypted digital form – think Bitcoin. Is decentralized hence cannot be influenced or controlled by a central entity, which makes it less vulnerable to damage, loss or fraud. Is highly transparent and public which is said to make it immune to corruption (although this may also be a drawback). In short, what the above benefits mean for retail business and other service industries is that by using the cryptocurrency as a payment mode they can avoid third parties such as payment providers, banks and others from taking a big chunk of their profits (on the way through – think merchant fees for essentially doing not much). The entire financial transaction process could undergo a positive transformation. This is something to watch if you run a business. Blockchain is coming your way, so best start reading up and preparing for when it’s worked out its glitches. While cryptocurrency has shown growth potential, with unprecedented growth comes fear of a catastrophic fall of even higher magnitude. The high volatility of the currency makes it a huge risk to hold either as currency or investments too – as you no doubt heard about recently when Bitcoin dropped nearly a third of its value in a very short time. If a regular currency (think Aussie dollar) did that, it would be catastrophic and the currency (and the banking system would collapse). Think: the digital equivalent of a wheelbarrow of dollars to buy a loaf of bread. And then there’s the anonymity of blockchain transaction. It is more of a false anonymity or what is called as pseudonymity. The transparency that is an advantage to some extent can also lead to disastrous consequences. Drug trafficking, terrorism and other nefarious activities can grow uninhibited with the anonymous nature of the digital currency. Even for an average individual using a bitcoin for transactions, the transparency can become a serious issue. The transactions done through bitcoin including purchases and other anonymous spending can be seen by others who are using the digital currency. There are timing issues too. Transactions take time to be recorded in the blockchain network. So if you intend to buy something using bitcoin, the time taken for the transaction can be a big drawback. Even with the newer ‘altcoins’ that are being introduced to minimize the transaction time, timing can still be an issue. Then there have been cases of cryptocurrency exchange hacking over the past few years, which make more robust and safer ways to secure any digital currency imperative before it becomes the ‘norm’. But perhaps most importantly, there’s not really widespread recognition or acceptance of cryptocurrencies yet – which makes it harder for anyone to really use – but like we said, yet! Where’s the government sit in all of this? My read is they’re not overly happy about it. But until otherwise advised, it’s here to stay. Hence, in July 2017, the Australian Federal Government declared cryptocurrencies legal tender. These regulations reflect the broader trend and customers have started using the digital currency and its adoption will grow further. As such, the government has implemented new regulatory laws for cryptocurrency providers including currencies like bitcoin. This will help protect against the use of cryptocurrencies for money laundering and financing of terrorism. And you can be sure that despite its much-lauded promise of anonymity, the ATO will get their due. They always do. Despite the obvious drawbacks, cryptocurrency as the new currency kid on the block, it has the potential to transform itself into a distinct and highly usable asset class/currency. Although there is scepticism regarding cryptocurrencies taking over conventional currencies, the day it happens might not be as far away as you think. Therefore it would serve business and governments well to have better insight into the technology and start contemplating embracing it or risk being left behind to the detriment of their business growth. If in the meantime, you’re looking to grow your business, make the best of the currency you have at the moment in terms of your self-managed super, we’d be delighted to help. You can give us a call on 02 6023 1700 or drop us a note via the form below.